How are your kids going to react "IF" a gun goes off in school? Stormin Norman’s Paintball on Vancouver Island, BC serving Victoria and surrounding areas has the best Paintball Experience there is to offer for anyone seeking fun, adventure and great stress release. We boast the largest paintball field on Vancouver Island with over 38 acres of adventure park and we can accommodate any group size. 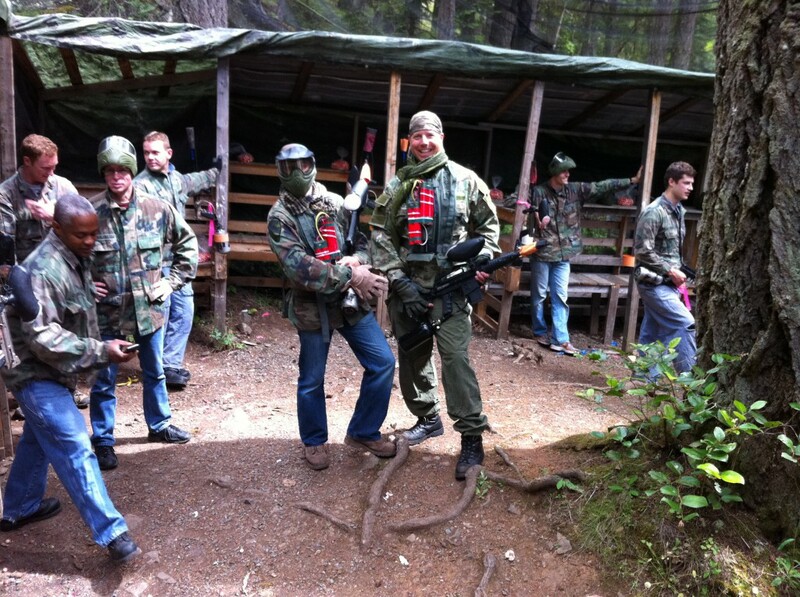 Whether you are hosting a birthday or bachelor party, sports team wind downs, team building events, corporate challenges or just a group of friends out for some good old fashioned fun, Stormin Norman’s Paintball will service all your needs. Ask about our “organizer incentives” when you make your reservations. ANNOUNCING BOW & ARROW BATTLES!!!!!!! This game is played on a 70 x 100 foot field and is similar to dodgeball. there will be a 20 foot “no shooting zone” in the center of the field where a bucket of extra arrows will be located. 1 match will last approx. 5-8 minutes. Includes; Bow, Arrows, Goggles, Camo jacket, and 10 minutes to practice before the games begin.